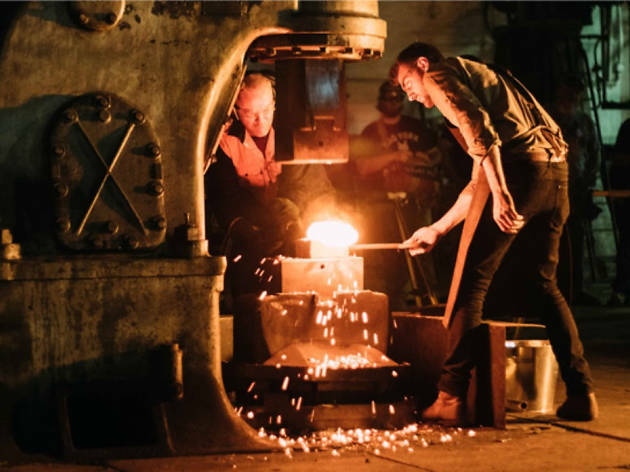 Jump off the train at Redfern and explore the blacksmithing school at Eveleigh Works. 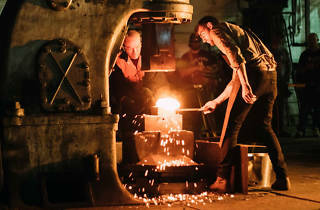 The heritage listed building will open its doors for a day of free forging demonstrations and the unveiling of a mighty metal sculpture. The three-metre statue represents a month-long collaboration with Italian artist-blacksmith father-and-son team Robert and Niko Giordani. Eveleigh Works students will also get some free time by the forge and everyone can enjoy the barbecue lunch and raffel. We spoke to Matt from Eveleigh Works about what it takes to be a modern day blacksmith.